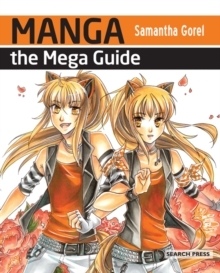 The big book to start you drawing manga-style. A fantastic book that is absolutely packed with clear information and instructions on drawing figures in the manga style, whether you're a seasoned comic artist or just picking up a pencil for the first time. This book takes a practical approach to cover a huge field. Working from the absolute basics through drawing, inking and leading on to multiple different colouring media, it provides a complete course in manga figures.